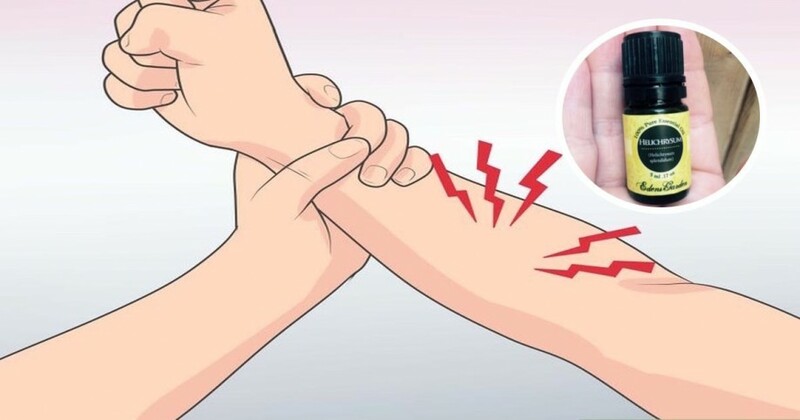 What do you do when you experience muscle pain? If you’re like most Americans, you probably open up your bathroom cabinet and grab your go-to pain relief medication. Unfortunately, popular drugs like Tylenol take a heavy toll on your liver and have a high potential for abuse, especially if you use them daily. Essential oils have multiple household uses, including first aid. 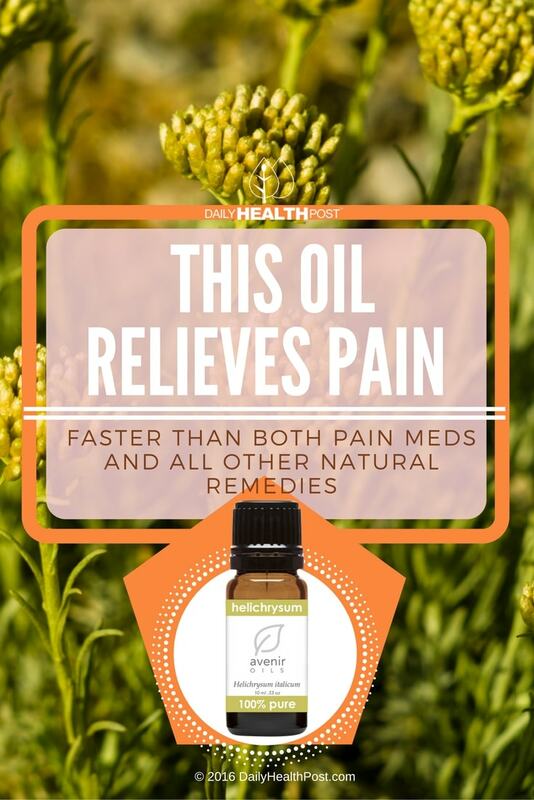 When it comes to chronic pain, Helichrysum Italicum is one the best options to treat your condition. It contains Neryl Acetate, which relaxes muscles and promotes blood circulation; Alpha-, beta-, and gamma-curcumenes, which fight inflammation and Di-ketones, which promote tissue regeneration. This means that oil works better than most medication, which typically only perform one of these actions at a time. The oil can be applied topically to treat muscle, joint and ligament pain as well as bruises and sprains. It works so well, in fact, that a hospital in Grasse, France tested it on the open wounds of their patients and found that the oil multiplied naturally-occurring collagen in skin cells to speed up wound healing and minimize redness and scarring (2). Traditionally, the flower and leaves of the plant were used to support the respiratory, immune, and neurological systems as well as stabilize mood and minimize stress(3). Its antimicrobial, antifungal and anti-inflammatory properties were also used to treat allergies; colds,;cough; skin, liver and gallbladder disorders; infections and sleeplessness (4). Unlike pharmaceuticals, Helichrysum is neither genotoxic nor cytotoxic. It advised not to use it on open wounds unless under the supervision of a qualified medical practitioner. It’s also important not to swallow it. In the case of acute pain caused by a burn or sprain, apply undiluted oil directly to the affected area. As it heals, dilute in olive oil or Jojoba in a 1:4 ratio and apply regularly until your injury is fully healed. For chronic pain, use 40 drops of helichrysum in an ounce of your chosen carrier oil to create a 5% dilution. You can also add black pepper essential oil for a warming effect or peppermint oil for a cooling effect.